Canada’s Minister of Environment and Climate Change, the Honourable Catherine McKenna announced a $50,000 grant from Natural Resources Canada’s Program for Energy Research and Development (PERD) to help TeamMTL participate in the international Solar Decathlon, to be held next year in Dezhou, China. TeamMTL is a group of more than 50 students, and four faculty members, from McGill University’s School of Architecture, Faculty of Engineering, Desautels Faculty of Management, and Concordia University’s Faculties of Fine Arts, Engineering and Computer Science, and the John Molson School of Business. 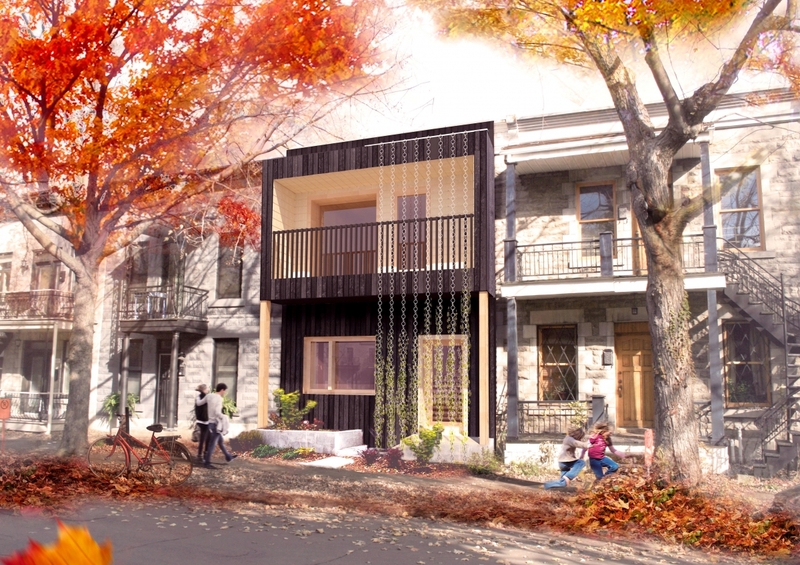 The students’ project, “Deep Performance Dwelling,” is an innovative row house that prioritizes energy efficiency, comfort, well-being, affordability, environmental sustainability and ecological awareness. The project addresses the growing need for affordable housing in the high-density urban market. According to a 2010 study by UN Habitat, urban population growth is now outpacing that of suburban areas for the first time since the mid-20th century. TeamMTL will compete in the 2018 Solar Decathalon, an award-winning international network of programs that challenges collegiate teams from around the world to design, build, and operate a Net-Zero Energy, high-performance, sustainable home. The three-month exhibition will be held in Dezhou, Shandong Province, China, and is expected to attract three million visitors. TeamMTL is the only Canadian team competing in the event. “I am proud to witness this terrific example of Canadian ingenuity and innovation. Today’s announcement reflects our Government’s commitment to clean technology. We believe that growing our economy goes hand in hand with protecting our environment, and we demonstrate that belief through the engagements taken in our most recent Budget.” --The Honorable Catherine McKenna, Minister of Environment and Climate Change. The Solar Decathlon is an international competition challenging university teams to design, build and operate an architecturally sophisticated and energy-efficient solar-powered house of 120-200 meters sq. (1300-2150 feet sq.) The jury will evaluate each entry’s cost feasibility, energy efficiency and environmental adaptability according to its performance in ten different contests. TeamMTL’s design, the Deep-Performance Dwelling “DPD”, is a Passive House-inspired NetZero Energy capable and Low or Zero Carbon residential construction integrating comprehensive on-site resource management.